1. 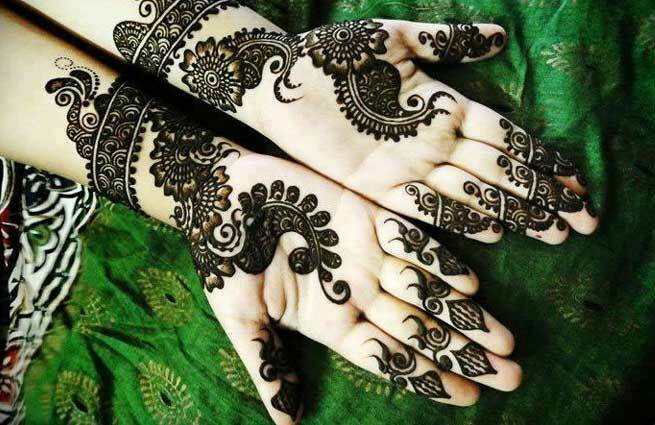 One of the finest examples of black henna decoration! In this mehendi pattern, traditional henna is beautifully filled inside the bordering of black henna. 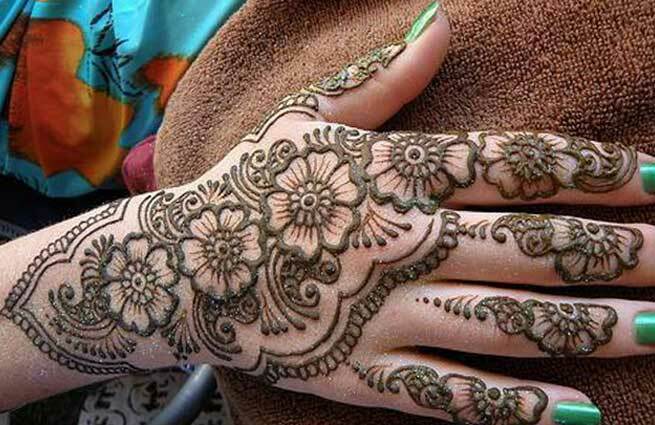 This pattern has made the henna design exquisite. 2. Getting ready for a friend’s marriage? 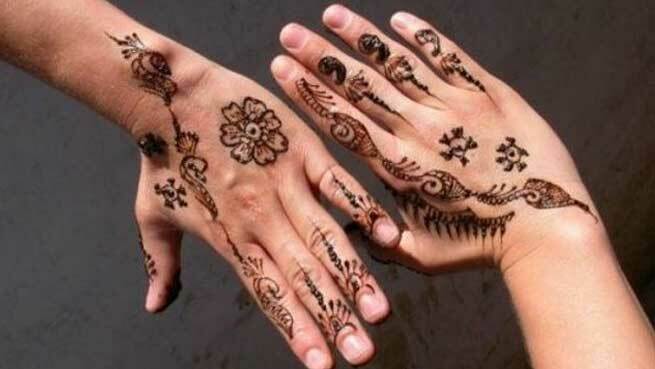 You must try henna adornment to complement your traditional garb. But no, you are running short of time. 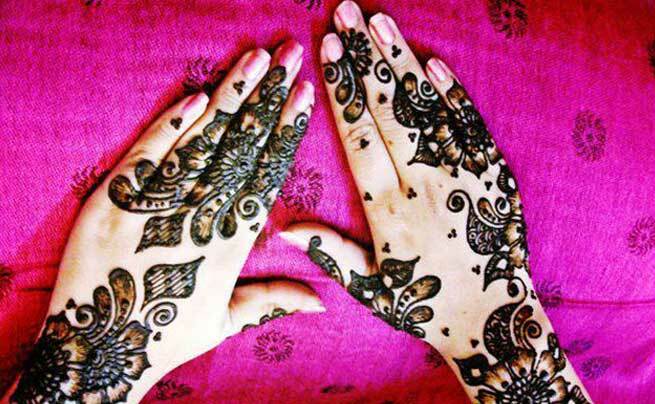 Try black henna, it is fast and will offer as pretty glimpses as the red henna. 3. In beautiful feet, colored with luscious baby pink nail paint, this mehendi design is looking stunning. Its Arabic pattern is bringing the years old charisma of henna art. 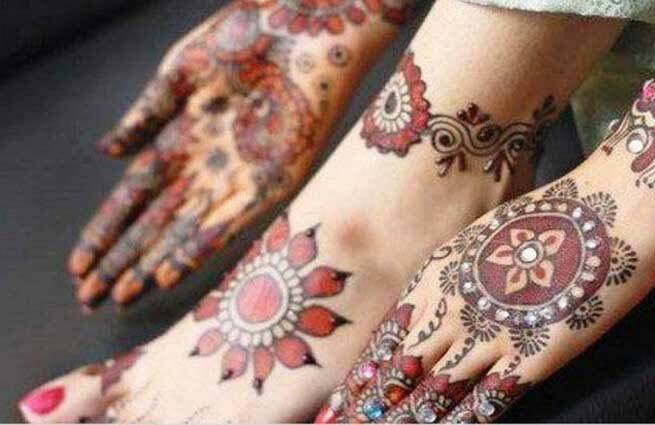 How to Remove Mehndi Safely at Home? 4. 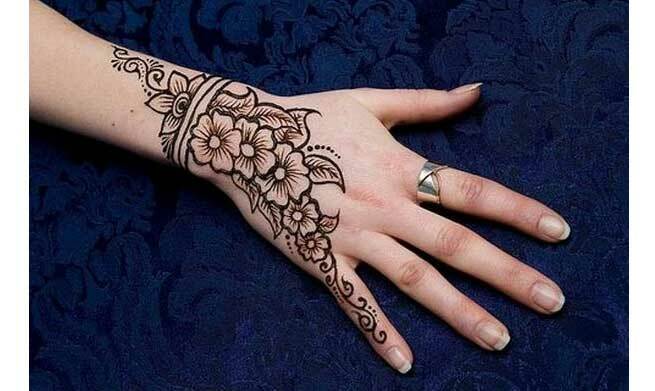 This creative mehendi design can be labeled as a complete henna pattern. The lotus motif is looking extremely good in its black avatar in the shown henna pattern. 5. So many festivals are round the corner. 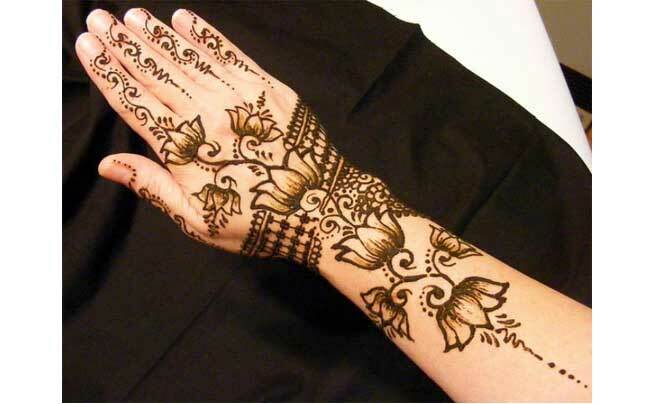 Enjoy the festivities to the greatest extent with this attractive henna pattern drawn on your hand. 6. 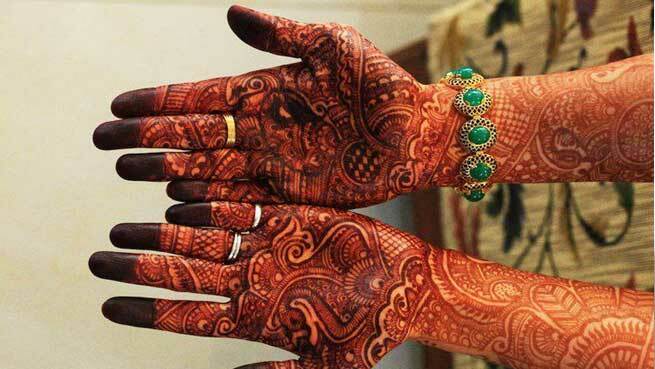 If maroon henna is all about bright traditional values, black henna is labeled with mystical charm. Have a glimpse of that adored charm here. 7. Many people complain about less coloration of red henna on flipped side of hand. If that is your problem as well, this mehendi design can create magic for you. 8. This is for all those who love green color of mehendi more than the maroon shades that comes after removing henna. Although, this striking design would look enchanting in any shade but its black has made it exceptional. 9. Falling under the drapes of Lahenga, this pretty black and red henna pattern will make turn any bride’s feet in happy feet. A striking design cased inside elaborate black patterns. What else you would ask for? 10. Going different is today’s trend. Go different with your henna pattern too and try this black menhdi to adorn your little finger.